Do you enjoy playing board games or bingo? Come volunteer at Cooperative Elder Services Inc and interact with seniors from all over the Greater Boston Area. Volunteer duties may include interacting and assisting with word games, card games, arts & crafts, visiting with therapy dogs and other fun activities! Volunteers must be comfortable volunteering with seniors who may have Alzheimer's or early stages of Dementia. This volunteer opportunity is reserved for Boston Cares volunteers who have attended an Orientation. 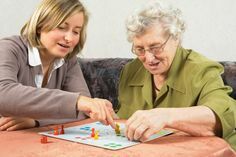 Cooperative Elder Services, Inc is a non-profit organization that offers frail elders and disabled adults who have medical, emotional, or cognitive impairments, a caring and secure alternative to nursing home placement, while offering their family caretakers peace of mind and respite. Is this senior project full? Check out this​ ​saved search to see other similar projects!